* Remove from washer immediately. * Do not leave wet. Norvan Jacket - Mens is rated 5.0 out of 5 by 3. 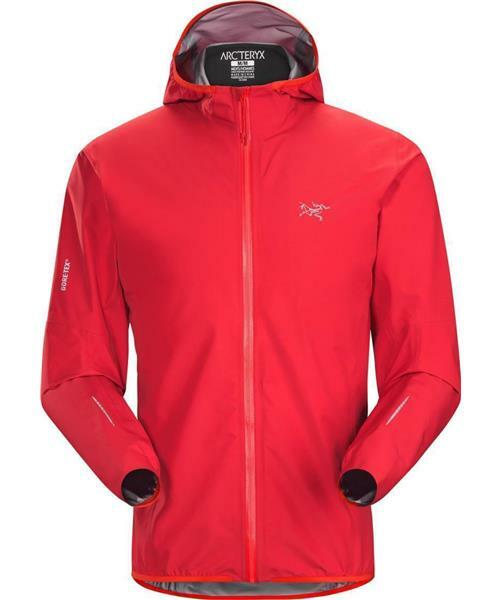 Rated 5 out of 5 by Kyle from Light, versatile, very breathable and very good range of motion Have been using it for my weekly trail runs for a while, in windy and rainy days. Keep my very dry during my runs (as expected from Gore-tex). Trim fitting blocks any possible chill from leaking in and even retain a little warm, with surprisingly easy articulation. C-Knit backing is very very breathable, so breathable that when I finish my runs, I can feel and see my sweat on the outside and it is relatively dry inside. Although the hood and the hem have zero adjustment, their elastic brims make form fitting supreme. I am 5' 6'' and 175lbs and uses a small, layering is possible with non-bulky fleece (mine is Salomon Atlantis FZ or Pxxxxxxxa R1 half zip). Still possible with Argus jacket but it is gonna run pretty tight, and unless you are running in -40deg C, this option is probably a furnace anyway. Rated 5 out of 5 by sleuth from Perfect running jacket I've just found this brand in 2015 after years with other brands, and this jacket is superior in about every regard. It's an athletic fit that works well with movement, lightweight, and great in both rain and wind. (I wear a men's medium at 6'0' and 168 ls.) It's not too suffocating like other waterproof jackets, but it does hold in heat well. If you wear long sleeves under it, best to make sure you really need the sleeves or you'll be too warm. Hood does *not* parachute, so I'll wear on non-rainy days as well.